You could call them leaks, but the most substantial evidence exists in Watch Dogs 2 itself, which was updated two years ago to include coordinates to Brixton in its ending. 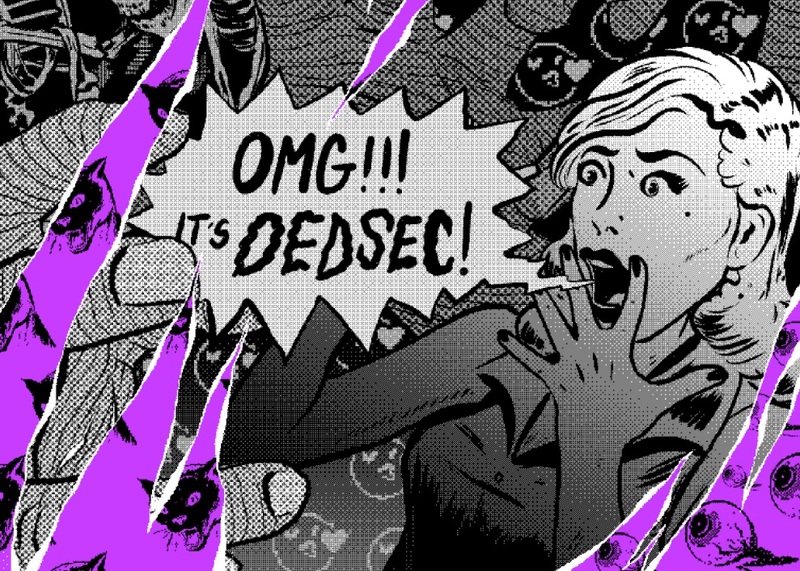 Given that the game has already been the platform for one surreptitious Ubisoft announcement, there’s no reason to doubt DedSec’s information a second time. As such, we’ve had a big ol’ think about exactly what a shift from the capital of tech to the capital of the UK might mean for the hack ‘n’ dash series. It’s easy to see why Ubisoft Montreal dropped Aiden Pearce for Watch Dogs’ second go around – Chicago’s growliest psychopath proved divisive, his grimdark revenge motive failed to connect with enough players, and that relentless self-obsession just didn’t suit the communal, hacktivist themes of the sequel. But the developer is likely to stick with his successor, Marcus Holloway, whose anti-establishment energy instilled the series with a new sense of righteous fun. 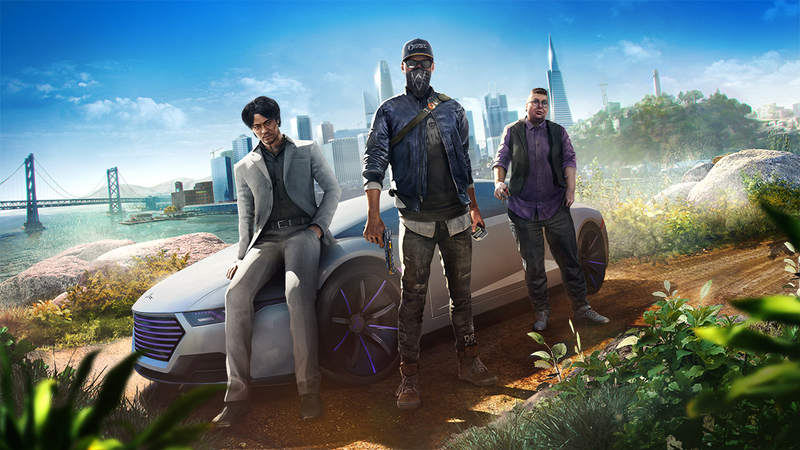 As far as we know – and aside from a brief interlude at a Burning Man-style festival in Watch Dogs 2’s late game – Marcus has never left the Bay Area, so there’s plenty of entertainment to be derived from the culture shock of arriving in London. I want to see an airport retail assistant openly laugh at Marcus for not knowing which coins are which, the way I experienced it the first time I travelled from the UK to San Francisco. Yes, I’m just as bitter as Aiden Pearce. What’s more, as a young victim of racial profiling through predictive surveillance tech, Marcus is perfectly placed to channel local disillusionment with authority. Increased use of controversial stop and search techniques has seen London’s minority black population disproportionately affected in recent years. And in Watch Dogs 2’s extended ending sequence, two unidentified voices note that DedSec cells are springing up all over the world in reaction to San Francisco’s Blume scandal. Maybe Marcus is helping to get a London outpost up and running. It’s an obvious one, but Ubisoft will be loath to release Watch Dogs 3 without giving us a chance to play with London’s biggest toy train set, the Underground. The tube is stuffed full of opportunities for both electronic interference and social stealth. Imagine holding a train 10 seconds longer so that you can reach it while pursued by police, then blending into the crush of commuters as it pulls away. And beyond the trains, there’s a whole world of forgotten underground locations in the city. The Subterranea Britannica lists more than 100 points of interest in Greater London, and it’s easy to imagine DedSec setting up shop at an abandoned station, or in a former air raid shelter. It’ll probably be most satisfying, though, just to remotely open a ticket barrier when you’ve forgotten your Oyster card. One of Watch Dogs 2’s greatest functions was as catharsis – for a generation whose every movement and intimate detail has been captured, stored, or sold by Silicon Valley companies, irresponsible superpowers over whom they have no recourse. This was a game that let us hold tech moguls to account, or at least force them for a moment to feel as exposed as the rest of us do on their platforms. Unlike, say, The Division, Watch Dogs 2 was a feelgood story because it punched up. Watch Dogs 3 is likely to go the same way, and London is the perfect setting for it. Few cities are more emblematic of the global wealth divide – richer households in London are now 24 times wealthier than poorer ones, thanks in part to astronomical property prices. Open-world games have long been about jogging around the exterior of extraordinary buildings you’re not allowed into, and frankly that’s exactly what life in London is like. Better still, Ubisoft could enable us to roam the empty homes of the oligarchs. In 2017, government figures revealed that more than 20,000 properties in London had been unoccupied for over six months, and a group of squatters transformed a Russian billionaire’s mansion into a homeless shelter. Let us claim grand old houses for DedSec. Some of Watch Dogs 2’s most entertaining sequences plucked their stories straight from the headlines. The side mission in which you tricked a pharmaceutical CEO into buying the supposed single copy of rapper Bobo Dakes’ new album was very familiar to anyone who knew the tale of Martin Shkreli, who spent millions to exclusively own the Wu-Tang Clan’s Once Upon a Time in Shaolin. For Watch Dogs 3, I’m holding out for a return of the twisting London skyscraper that melted part of a parked Jaguar in 2013. Ubisoft Montreal has already created the mechanics for commandeering and steering huge construction cranes, and redirecting one to reflect light onto the ride of a deserving CEO sounds like a good time to me.